Picture this: Your cat is sick or injured and the cost of treating her is more than you can afford. Try these suggestions if you need help with vet bills. 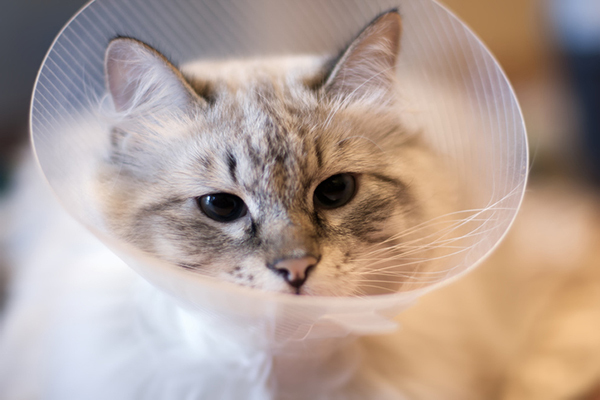 As any cat parent who has faced a health emergency or serious illness will attest, veterinary bills can be steep. Do you need help with vet bills? Not everyone can readily spend hundreds — or even thousands — of dollars on their cat’s health, so how does a caring cat parent get help with vet bills? Need help with vet bills? 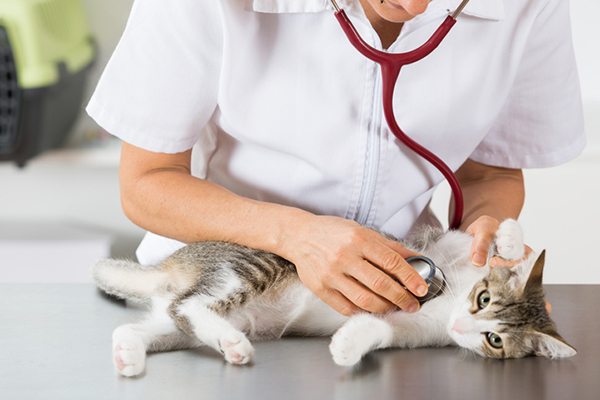 There are a few options that could help you afford your cats’ vet bills. Photography by tosher/Thinkstock. What happens to pets whose parents can’t afford appropriate health care? “What happens for the pet — the victim in this case — is they end up having to suffer with prolonged illnesses or dying prematurely, often by the decision to euthanize them,” says Dr. Michael J. Blackwell, a veterinarian with the University of Tennessee in Knoxville and former dean of the College of Veterinary Medicine. Many pet parents tend to go into credit-card debt to pay vet bills — but, not everyone qualifies for credit, Dr. Blackwell says. He’s also seen people sell items to raise money or borrow funds from family and friends. “I don’t believe we have nearly the amount of bankruptcy you see in human health care, but some families get into financial trouble overall,” Dr. Blackwell says. In today’s high-tech world, many cat moms and dads turn to the internet and social media to get help with vet bills. Some people post about their pet’s health crisis on Facebook and ask friends to call their vet’s clinic to donate toward the cat’s care. Others organize formal campaigns through crowd funding on sites like gofundme.com or youcaring.com. Take Waffles’ story for example: The kitty’s constant itching became so severe that the gray shorthaired cat bled, lost all her facial fur and got crusty sores. Waffles’ family spent more than $4,000 on visiting several veterinarians, including a dermatologist, getting multiple blood tests and trying different medications. Now, Waffles’ family anticipates they’ll spend a few additional thousand dollars to keep Waffles’ condition controlled and her life comfortable. Feeling overwhelmed, Waffles’ human, Nicole Javorski, 19, started a campaign for Waffles on gofundme.com. Javorski’s family has raised close to $1,000 — a lot of it from strangers who heard about the campaign from her friends and family on Facebook. Veterinarians do their best to care for pets in need and respect the clients’ budgets, but there is only so much they can do, Dr. Blackwell says. Although some people are reluctant to spend the money on pet insurance, it can protect you from a major bill down the road. Some vet schools offer discounts for clients to work with veterinary students in training. However, Dr. Blackwell says, the Good Samaritan funds from donations tend to deplete quickly. Animal shelters may also offer discounted care. Negotiate a payment plan with your vet. Many clinics will do this for longtime clients. Or, you can offer to perform services for your vet in lieu of payment, such as cleaning kennels. If you can’t use a major credit card to pay your vet bills, consider applying for Care Credit, a credit account that can only be used for medical expenses. Many veterinarians accept the card. Research charity groups, like redrover.org, that offer financial aid for pet parents in need. Several groups provide help for specific pet breeds. Ask a Vet: How Often Do Cats Need Shots? If someone can’t use major credit cards, they likely can’t get CareCredit either. If you do manage to get it, be warned that after the initial term of no interest, you will be hit with a 27 to29.99% interest rate. I’m at a loss right now. My 10 year old cat, male, is pretty sick, I think it’s an abscess tooth, fang, and he’s gone from over 25 pounds to 15 pounds or less. I can’t get him to eat anything and he barely drinks his water. The vet wants to do some blood test before they will give him anything and I don’t have the money for it!! $50 for the test. Can anyone help me with this? ?